Leaving the coast and passing through some of the Etna villages with a stop in Zafferana Etnea with visit of the church and the lava flow in 1992 we reach the height of 6.175 ft, where the Silvestri Craters can be admired. It is possible to continue the journey by jeeps, we cross the lava flows up to the permitted height to admire a wonderful landscape. 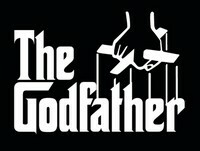 Please note: If the departure is from Catania or Messina we can include a visit to Taormina. In the last few years clients are also interested in tasting local products visiting vineyards and farmhouses on the slop of Mount Etna. A delightful half-day trip to the fascinating catacombs of the Cappuccini convent in Savoca and Bar Vitelli - used in the shooting of the " Godfather " in 1971. Then a scenic drive to Forza d'Agrò. 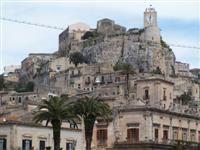 Includes a walking tour through the peaceful streets, churches and cathedrals. 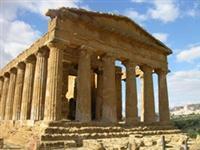 The city, of Greek origin, in noted for its famous Valley of the Temples. 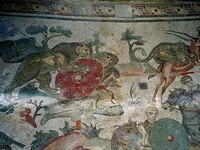 The visit includes the temples of Concord, Juno, Herakles, Olympianzeus, Castor and Pollux.Stop for lunch in an exclusive restaurant - then continue to Piazza Armerina to visit the mosaics of the Roman Villa of Casale. Visit the Monumental Park of the Neapolis: the Greeck Theatre, Dionysius' Ear, the Roman Amphitheatre, the Altar of Hiero. 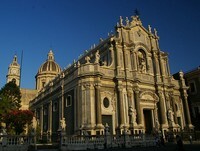 We will go to the Island of Ortigia : the Cathedral, the Fountain of Arethusa and the Temple of Apollo. 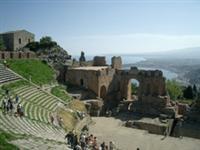 Stop for lunch in an exclusive restaurant than depart for Catania, orientation tour of the city and return to Taormina along the Coast of the Cyclops ( Acicastello - Acitrezza ). A visit to the Cathedral and Benedictine Cloister in Monreale and than the Norman Palace, the Palatina Chapel and the Cathedral of Palermo. After a stop for lunch in an exclusive restaurant there is a walking tour of the City: St. John of the Hermits, Pretoria Square, Martorana, St. Cataldo. On the way back a stop in Cefalù in order to visit the old centre. Visit the Cathedral in Messina and see the animated figures of the mechanical clock, the largest in the world. Continue to Tindari and visit the Black Madonna and the archaeological site. On the way back to Taormina we stop in the medieval quarter of Milazzo.